Three DCSD Elementary Schools Team Up for Act of Kindness. 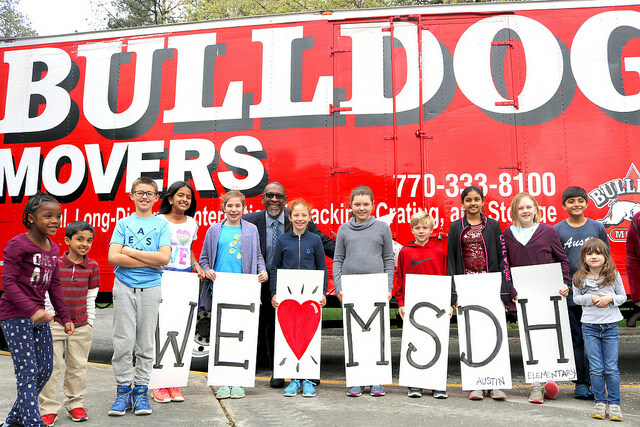 Three DeKalb County School District (DCSD) elementary schools recently united to bring positivity, kindness and compassion to Marjory Stoneman Douglas High School in Parkland, Fla. 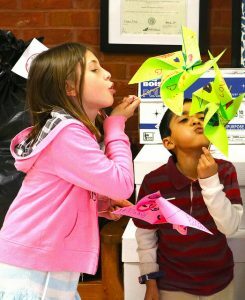 Under the leadership of Austin Elementary principal Ann Culbreath, students at Austin, Kingsley and Dunwoody elementary schools crafted more than 3,500 pinwheels with artwork and uplifting messages on Friday, March 9. 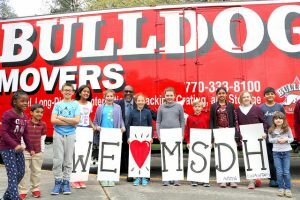 The schools teamed with local business Bulldog Movers, which will deliver the pinwheels free of charge to Marjory Stoneman Douglas on March 14. The school’s principal, Ty Thompson, has asked students to place colorful and heartfelt pinwheels on the perimeter of the campus to recognize the one-month anniversary of the tragic high school shooting. Holly Van Tassel, a current Marjory Stoneman Douglas teacher, is a former Austin Elementary teacher with many ties to the DCSD family. Her connection to Austin Elementary inspired Culbreath to inspire the student-led movement. Culbreath’s initiative inspired Kingsley and Dunwoody Elementary principals, Melanie Pearch and Jennifer Sanders, to participate and contribute to the 3,500 pinwheels. On March 12, Austin Elementary hosted an official send-off to a moving truck filled with pinwheels. The pinwheels will be presented to Marjory Stoneman Douglas before school on March 14.